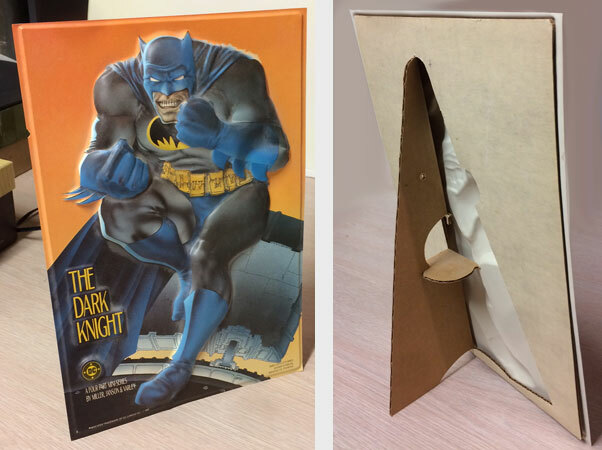 Vacu-formed plastic front features artwork by Frank Miller; cardboard easel-back features fold-out stand. 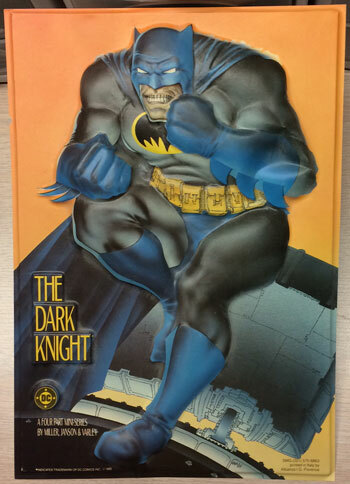 This rare display piece was produced for DC Comics in the mid-1980s to promote their new Dark Knight graphic novel series. It was used as a countertop display piece in comic book stores and specialty book shops. 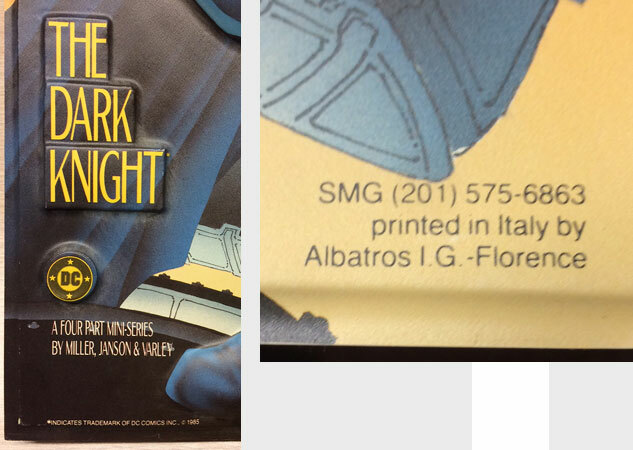 It features a three-dimensional vacu-formed plastic front with artwork by Frank Miller and Lynn Varley; this artwork is a variant of the artwork from Book Two "The Dark Knight Triumphant," page 22. The rear is cardboard with a die-cut fold-out easel stand.